We devote ourselves to giving you outstanding colors, cuts, and styles. Therefore, it is our responsibility to provide you with the best quality products for maintaining your look at home. Each product line at Tangles Salon has been carefully researched and hand picked to ensure the highest quality and performance. We invite you to take a look at what we love! Ask us about our in-salon purchase perks! 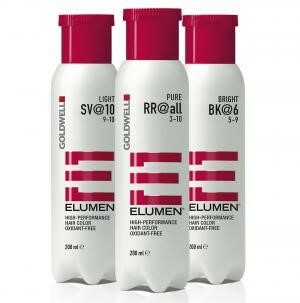 treatment product that is pure & organic. Somas focus was two criteria - Quality and Environmental Impact. All Soma products are formulated to be 100% biodegradable, vegan, and organic. Soma uses the best ingredients the world has to offer while having a net zero environmental impact. Italian Color born out of passion and love for hair's beauty and healthiness. 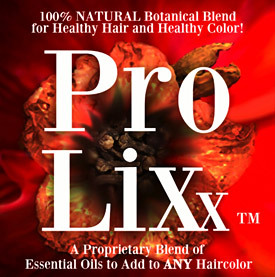 Formulated with the highest quality ingredients for all hair types. Safe for sensitive scalps. 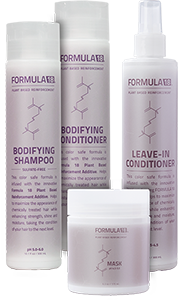 FORMULA 18 is a chemically resilient material that ionically binds to the hair's cuticle and offers long-term protection from harsh hair color, free radicals, peroxides, and environmental stressors. Damaged hair has a raised cuticle, while healthy hair has a smooth, closed cuticle. FORMULA 18 penetrates between uplifted scales in the cuticle to create a stapling type effect with a smoother, healthier appearance. FORMULA 18 is a blend that creates a highly effective hybrid biopolymer to aid in reducing and fixing damage done to the cuticle while simultaneously strengthening the hair fiber. Cezanne's unique blend of ingredients is non-toxic, naturally safe, and effective. There are no vapors or fumes, so no need for masks, gloves, or ventilation during the treatment—it's nature's way of smoothing. Our smoothing treatment is 100% formaldehyde-free. It's also free from any other kinds of aldehydes and harmful toxins, for that matter, and it's as long-lasting as the current top products. It's hypoallergenic and dermatologist tested, won't irritate the scalp and won't release any noxious gases. 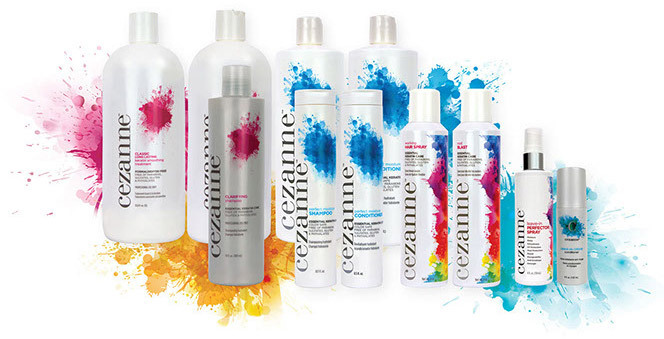 Cezanne actually strengthens the hair, using a revolutionary low pH technology that restores bonds that are broken or damaged during thermal, mechanical, or high pH services. With more than 50 years of barbering and grooming, the Barbers at Schorem have formulated pomades worthy of their exacting standards. 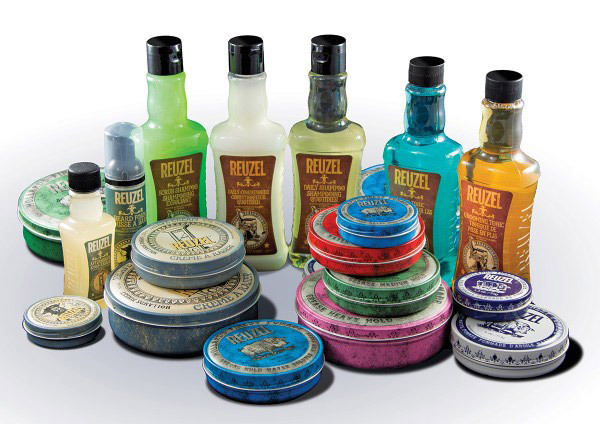 As old school barbers, they dug deep into the history of pomades to formulate what is believed to be the world's finest men's hair care and styling products... Reuzel. 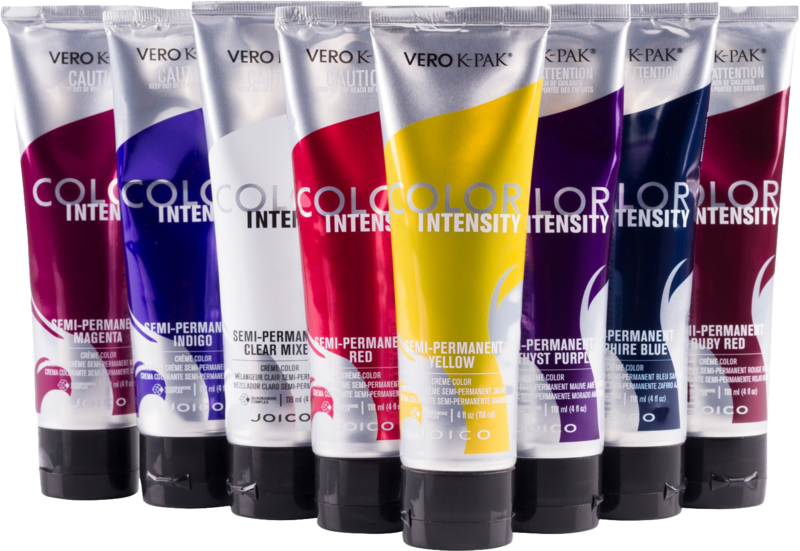 Joico offers a palette of vivid colors for our stylists to create.